The following document is outdated. A-005 is no longer in GEAR custody, and has been sold to the RPC Authority. This is an archived file. 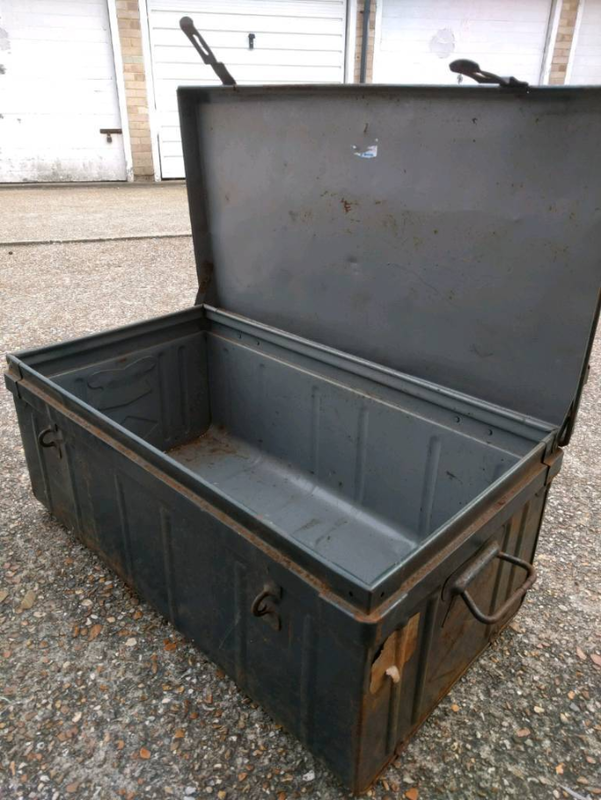 Description: At first glance, A-005 appears to be a standard 1.0m by 0.6m iron storage box. Upon closer inspection, the walls of the box are revealed to be a very thin layer, covering a massive amount of microscopic circuits and mechanical components. These components are highly complex and are still not fully understood by GEAR researchers. The anomalous capabilities become apparent when an amount of matter is placed inside the box. Once fully locked closed, the box will be unopenable for approximately 30 minutes. During this time, a loud electronic buzzing can be heard from the inside of the box along with a slight vibration. Once this process has completed, the box will open, usually resulting in no change to the original material. The only known exception is when an amount of either plant matter or animal matter is placed within the box. In the case that plant matter is inputted into the object, the result will always be a smaller amount of animal matter. The resulting animal matter is always one fourth the weight of the original plant matter. It should be noted that although mostly meat has been recorded appearing, it is also possible for live animals and other creatures to be outputted. When animal matter is inputted into A-005, the output will always be a large amount of plant matter. The resulting plant matter is always four times the weight of the original animal matter, and usually consists of fruits and vegetables, although flowers and fungi have also been recorded. Addendum: GEAR researchers are currently working on developing a 3D map of the object's internal components, with the hope that we will soon be able to recreate the asset with a larger container, allowing for more matter to be used in tests. It is hoped that in the future we may be able to market and sell mass produced food using the technology. The following is the most recent A-005 test log GEAR researchers recorded. 2 pounds of assorted, uncooked vegetables. 0.5 pounds of assorted, raw meats. A 4 pound iron cube. The same iron cube with no change. 5 pounds of oak tree bark. A 20 pound, bipedal creature. The DNA matched closely with kangaroo DNA, but no recorded creatures had a direct match. The Creature was terminated without any damage to equipment or researchers. Oh god. The situation has become EXTREMELY dire. A security agent explained that the box is able to turn meat into plant matter. He said that it is our best chance of obtaining edible food before we get rescued. He also said that we would need to provide human tissue in order to produce food for the group. No more notes were found inside the bunker. A rescue and salvation mission was placed on low priority as Site-77 is considered a low-value research site. Due to Site-77 being located underground and in an extremely remote location, it took a longer amount of time than previously planned to send an excursion. 2 months after the breach, task force Beta-2 "Scavengers" were able to salvage the majority of lost assets. It appears that the upper floor caved-in and blocked the door to the floor 2 emergency bunker. After removing the blockage, Beta-2 investigated the bunker. A-005 was found and recovered without damage, as well as all of Dr. Maylord’s notes. It appears that none of the researchers or security agents survived the emergency. Only 8 corpses were found within the bunker.